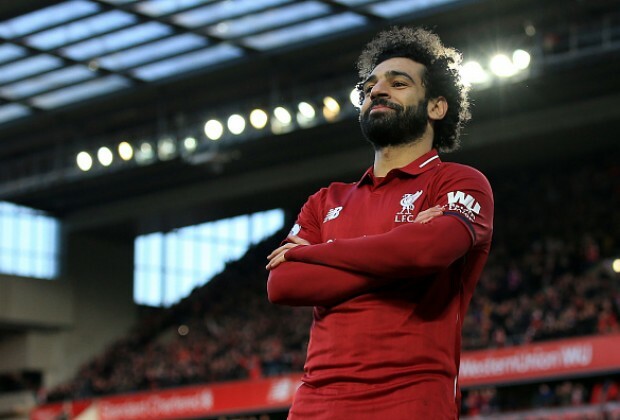 African superstar Mohamed Salah has been breaking records left, right and centre since joining Liverpool, and he has now reached a milestone last achieved by FC Barcelona’s Luis Suarez. The Egyptian netted Liverpool’s third goal in a 3-0 win over AFC Bournemouth on Saturday, scoring his 17th Premier League goal of the campaign. Overall, he has now scored 20 times in all competitions in 2018/19, with the other three strikes coming in the UEFA Champions League. In doing so, Salah became the first Liverpool player since Suarez to score at least 20 goals in back-to-back campaigns. The 26-year-old finished his debut season with a remarkable 44 strikes, which means he has struck 64 goals in 86 appearances overall for the club. Suarez, meanwhile, netted 30 goals across 2012/13 and another 31 the following campaign. In addition to Salah’s 64 strikes, he has also assisted 34 goals, meaning he has been involved in more than one goal per game since joining the Reds. Following Sergio Aguero’s hat-trick against Chelsea in the City’s 6-0 drubbing, both the Argentine and Salah now lead the Premier League golden boot race with 17 goals in 2018/19. Do you think Salah will defend his golden boot title in England? Have your say in the comments section below. Click here to sign in! Where are the detractors, last season they said come this season. Copyright © Soccer Laduma, 2014.